Property tax bills for more than half of Riverside County homeowners will be lower this year because home values across the county have plummeted, the county assessor said Thursday. An analysis by the Assessor's Office determined that property value assessments should be reduced an average of $144,000 for single-family homes and $111,000 for condominiums, saving property owners counted in the re-assessment an average of $1,600 in property taxes, which are due in December. According to the Assessor's Office, property values dropped an average of 10.5 percent over the past fiscal year, wiping out roughly $25 billion in value -- the largest one-year drop since the county began keeping records in 1950. "We are actively working to ensure residents don't overpay taxes on their property during these difficult financial times," said Assessor-Clerk-Recorder Larry Ward. "We will continue to make adjustments as the housing market changes." Of the 600,000 single-family dwellings in the county, the Assessor's Office conducted a six-month analysis to determine the impact of the battered real estate market on some 370,000 homes purchased between 2001 and 2009. Assessor's office spokeswoman Michelle Martinez-Barrera said 2001 was selected as a base year because it marked the beginning of a surge in home sales, and properties changing hands during that eight-year period were likely assessed at higher values to reflect a thriving market. With Proposition 13 capping the amount property values can appreciate to 2 percent a year, residents who purchased their homes before 2001 likely experienced comparatively smaller property tax assessments, and were therefore left out of the re-assessment just completed, said Martinez-Barrera. Residents whose homes have been reassessed at a lower value will receive notices in the mail over the next two weeks, according to Martinez-Barrera. She said any resident who wishes to dispute an assessment, or file a decline-in-value application with the Assessor's Office, has until Sept. 1. If a property owner is not happy with a review, the resident can appeal for a hearing before an independent administrator, Martinez-Barrera said. An appeal must be filed by Nov. 30. "We will be continuing to review properties pro-actively to adjust for the current declining markets," said Martinez-Barrera. Of the county's 26 municipalities, Desert Hot Springs recorded the biggest percentage decline in assessed values -- 34.35 percent, or about $698 million -- compared to the year before. The smallest decline in property values was in Rancho Mirage, where aggregate values slipped .45 percent, for a loss of $36 million, according to the Assessor's Office. In the unincorporated areas, Nuview fared worst. The southwest Riverside County community's assessed valuations dropped 19 percent, for a loss of $162 million, according to the Assessor's Office. Because of their recent incorporation, steep declines were also recorded in the communities of Menifee and Romoland. The cumulative valuation of residential properties countywide was about $217 billion, compared to $242 billion a year ago, according to the Assessor's Office. 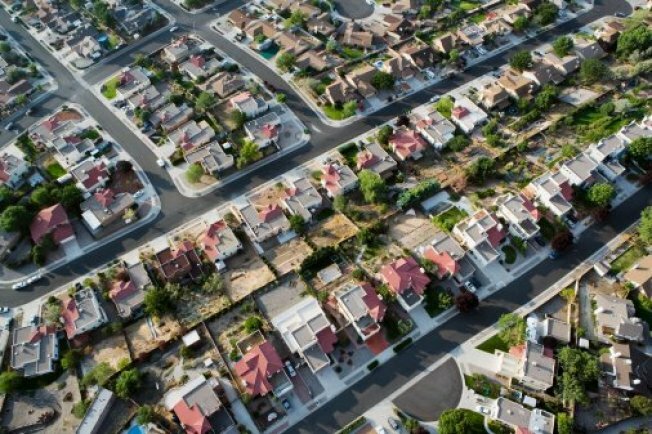 In a report published last week, Cal State Fullerton's Institute for Economic & Environmental Studies noted that Riverside County's housing market peaked in 2006, when the median home price reached $415,000. Since then, prices have fallen 60 percent, the researchers said. A modest recovery in the local real estate market is expected, perhaps after two years, according to the report. Largely because of the decline in property tax receipts, Riverside County has chopped 10 percent from its government budget, with another 10 percent cut anticipated in the 2010-11 fiscal year. The county expects to cut its payroll, but it's not yet certain how much.